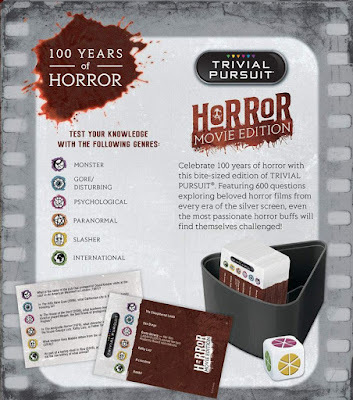 Raz's Midnight Macabre: Trivial Pursuit For Horror Fans! 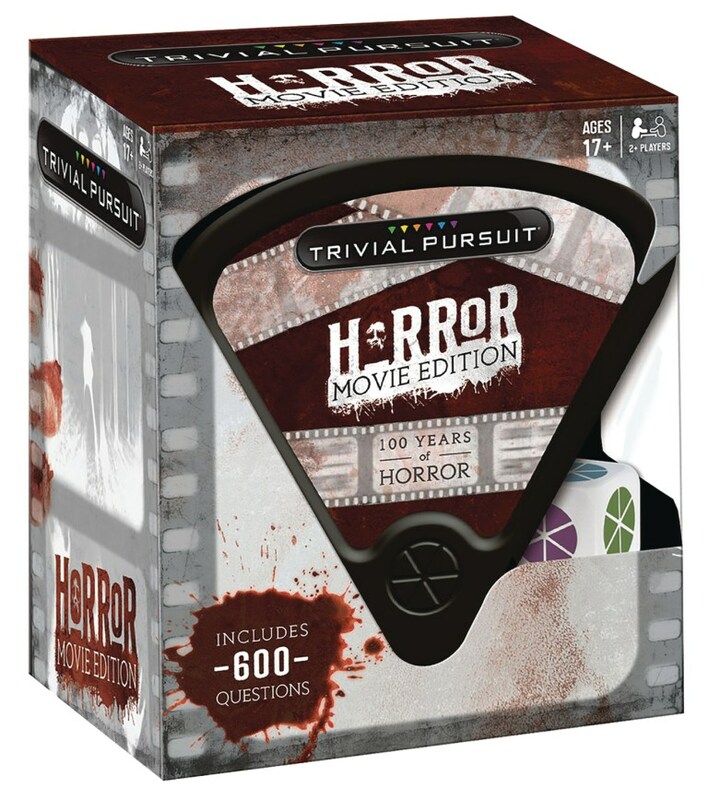 Trivial Pursuit For Horror Fans! Trivial Pursuit: Horror Movie Edition, an all-horror version of the trivia game that includes 600 questions and covers 100 years of the horror genre. Are you a competitive person? I haven't got a competitive bone in my body (just please don't ask anyone I know), well you can now test your Horror movie knowledge against your fellow Horror fans with Trivial Pursuit: Horror Movie Edition. 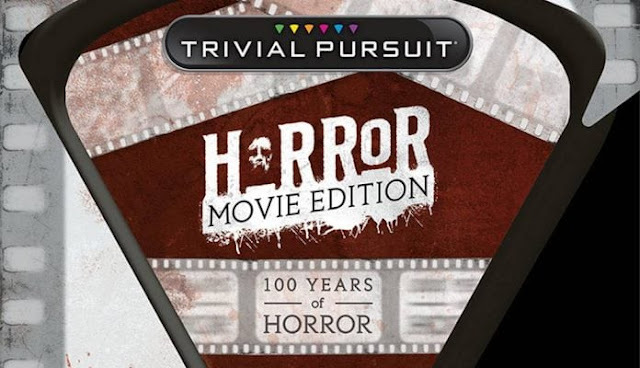 I've been wanting to see an official release like this for a long time, whilst there have been independent releases in a similar style having the Trivial Pursuit stamp on it feels like a credit to the genre. Unfortunately I can't find it for sale in the UK anywhere yet but if you live in the US then it should be easier for you to find and from what I've seen it costs about $20 which isn't a bad price. Have you got the game or even just played it? Let us all know if it's any good or not, share your opinion with us in the comments below. "13 Fanboy" Needs Your Help!